We have a great selection of socks and t-shirts to get people talking on 21 March, World Down Syndrome Day! Please note, our shop is now closed as of Tuesday 5 March 2019 at 9am UK time (GMT). The shop will reopen for pre-ordering of 2020 merchandise towards the end of 2019. For orders in England, Wales and Northern Ireland, please contact the Down’s Syndrome Association WDSD Shop. 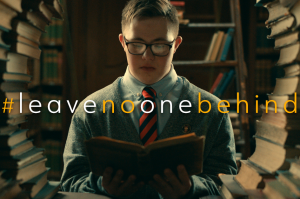 You can also visit our WDSD Lots of Socks page to see how you can promote this campaign.